Great jumpsuit by Isabel Marant. I love how she accessorizes with thin gold hoops, a thin gold chain, and aviators with a touch of gold. This lady has style in spades! 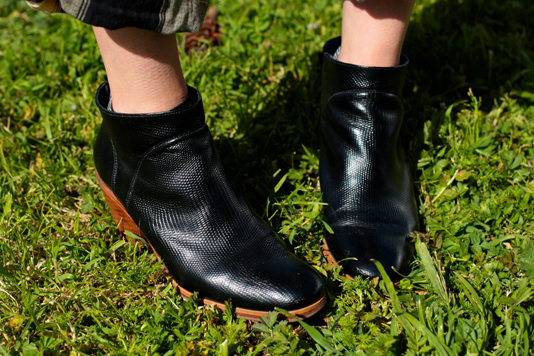 Lovely, lovely booties by Rachel Comey. Want!